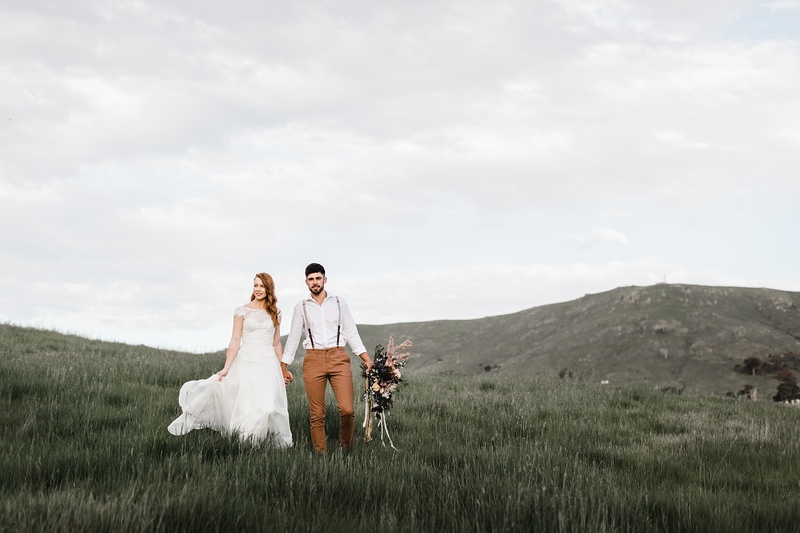 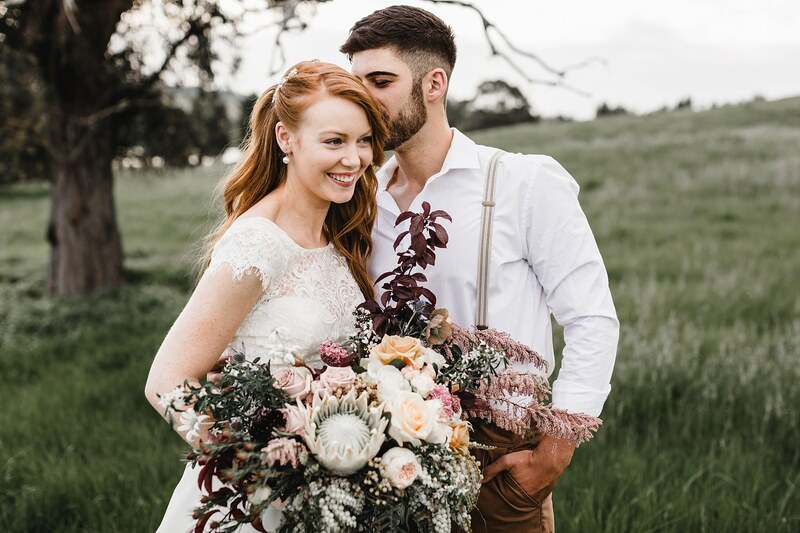 This Poachers Pantry wedding was inspired by the gray gums and windswept rolling hills of the Australian countryside, this bridal shoot took place in the Murrumbateman wine region. 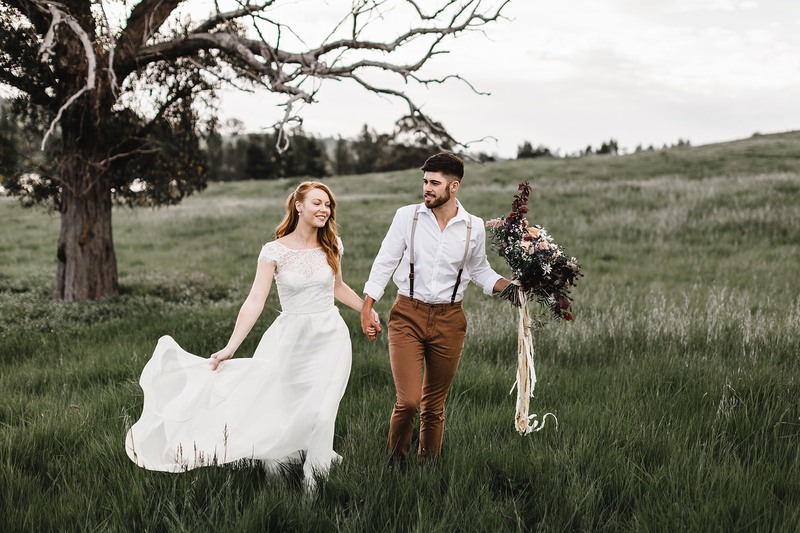 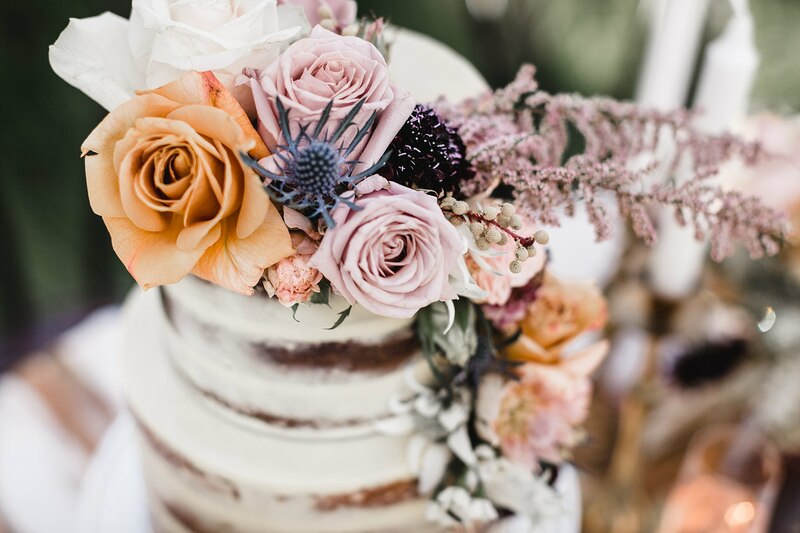 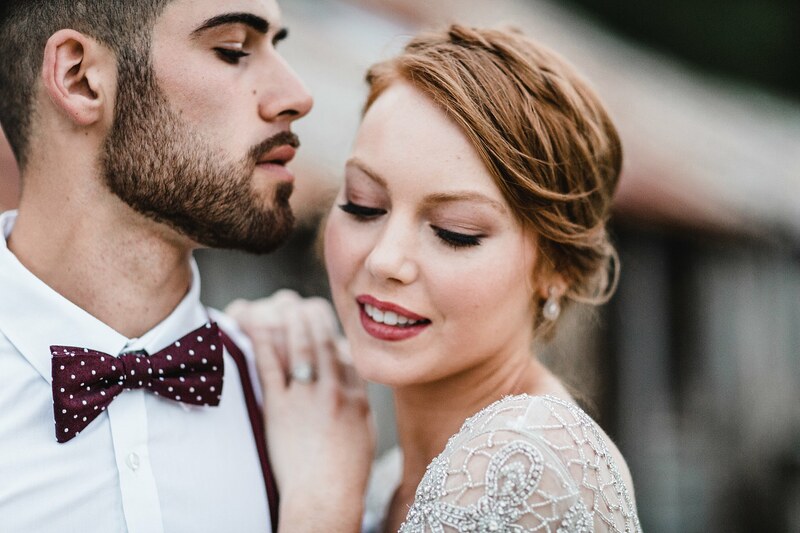 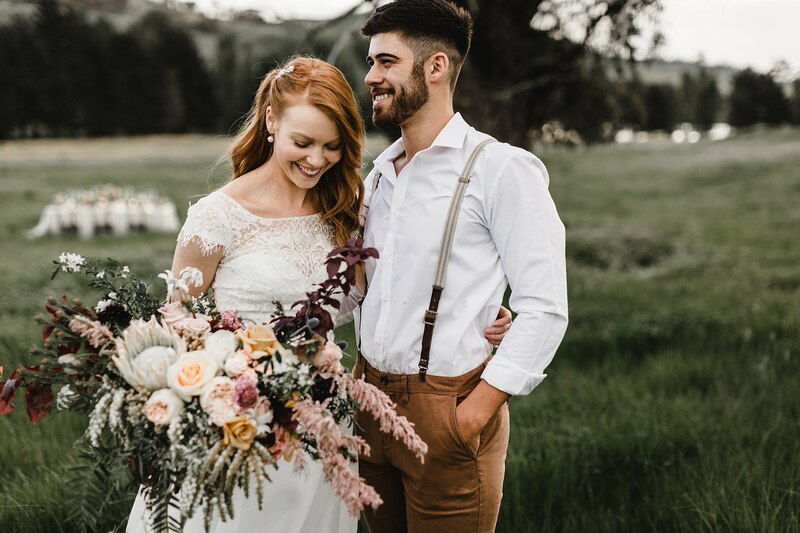 To showcase the beauty, elegance and simplicity of a country wedding, Shae Estella Photography picked Poachers Pantry for their gorgeous and rustic location. 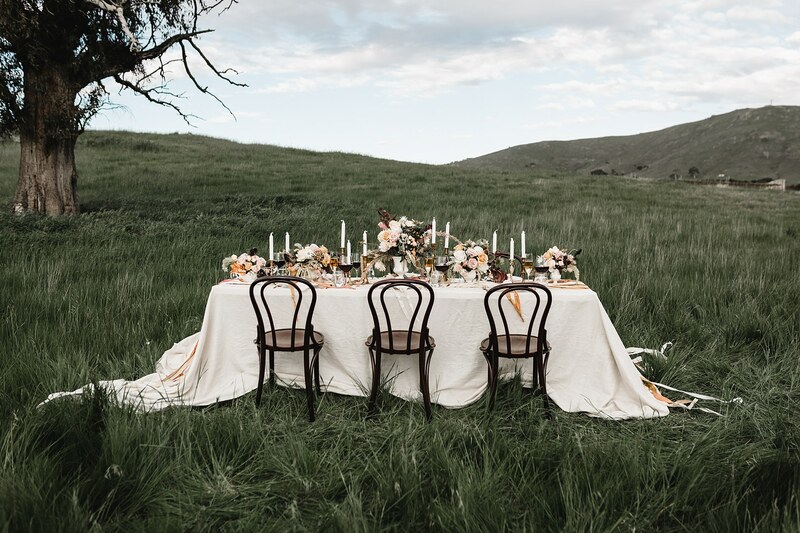 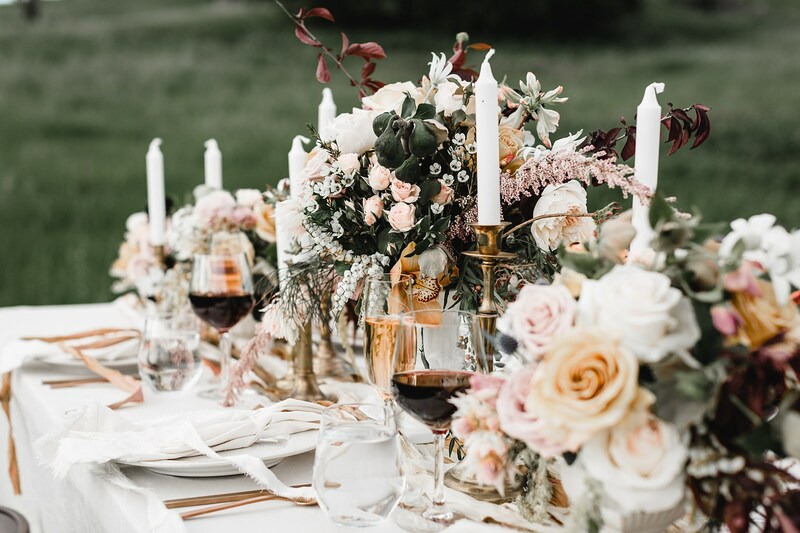 The blush and golden hues of an Australian sunset, teamed with the rustic qualities of a working sheep station were fused into the table settings and soft blushes of the flower arrangements by Wren & Rabbit. 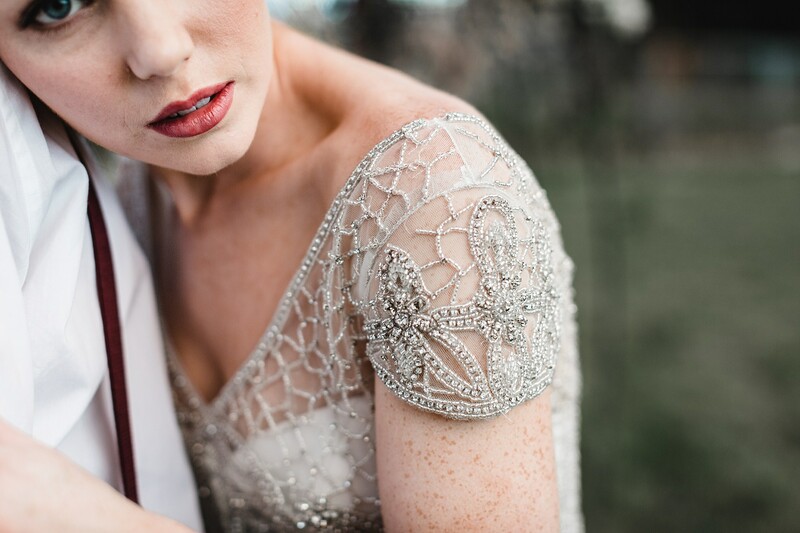 The fine beading and lace on the Australian handmade gowns by Anna Campbell were as delicate as the etchings on the surrounding gray gums. 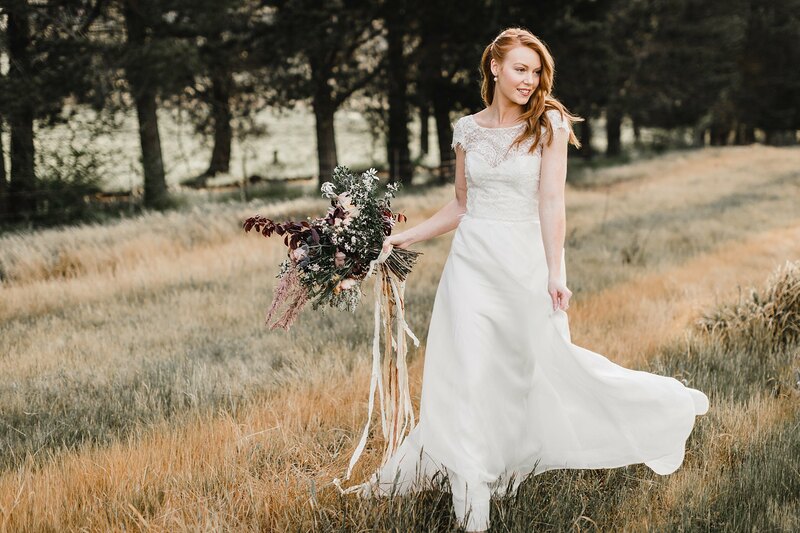 Reflecting the understated beauty of the Australian countryside, the bride’s hair and make-up by Stephanie Church and Kirstin Pierpoint was kept simple yet elegant. 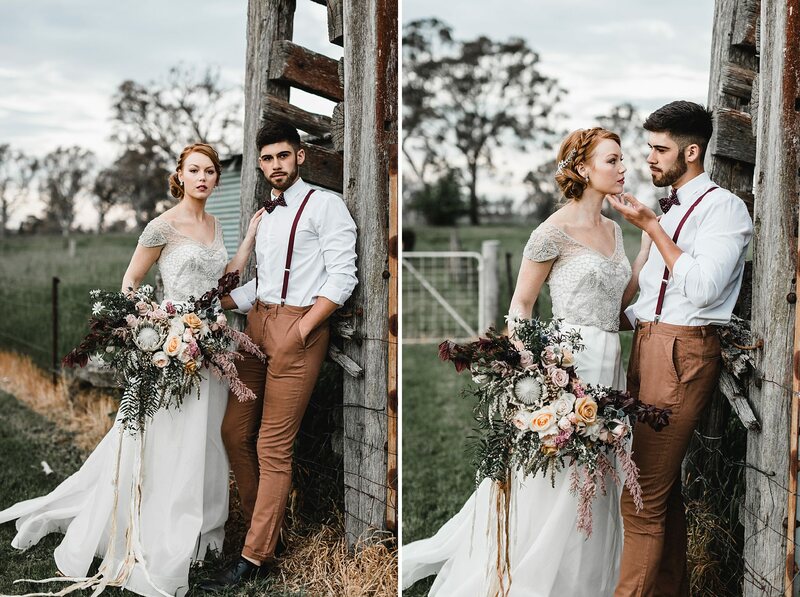 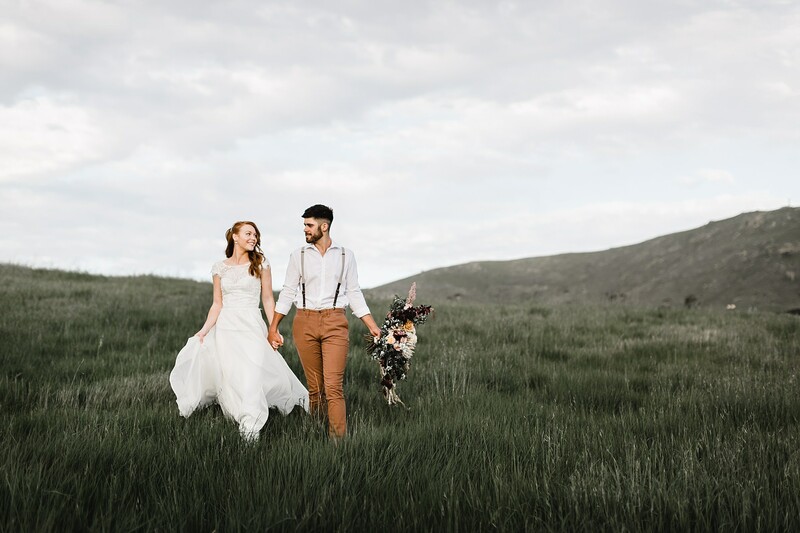 The men’s styling was also kept to the natural hues of the land with tan pants teamed with suspenders and bow tie, keeping a sense of a relaxed, country groom. 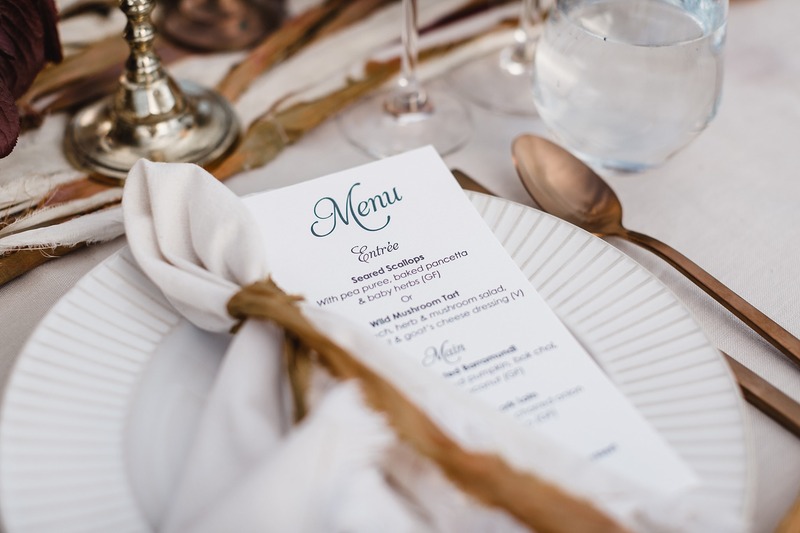 The elegance of this country setting was carried through on the stationery, which was vintage letter pressed on organic cotton rag. 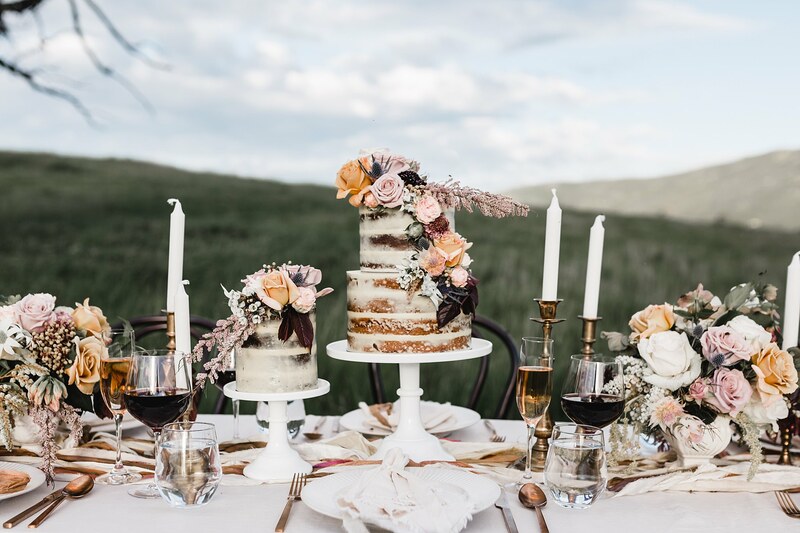 To top off such a gorgeous wedding, the cake by Forty Two Cakes reflected the rustic and natural tones of the landscape it was enjoyed in.